[vc_row][vc_column][vc_column_text]Your skin is one of the first things people notice when they meet you. Improving your skin brightens your entire outlook and lets you share your beauty with the world. Bringing out the best in your facial aesthetics has never been easier with microneedling treatments. Focal Point Salon & Spa offers the latest technology in microneedling and with the addition of stem cell therapy, your skin will be tighter, lifted and rejuvenated in as little as one visit. 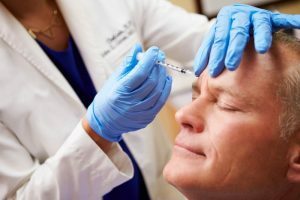 Microneedling is minimally invasive, and most of our patients report that treatment is comfortable and they just feel a very slight pinching sensation. Our microneedling device uses extremely fine needles to prompt a healing response that increases elastin and collagen production, leaving your skin instantly smoother with fewer scars and blemishes. The hand-held device delivers thousands of tiny micro-punctures to the skin, creating a controlled “injury” that triggers your natural healing. Healthy skin cells grow to replace damaged cells, stimulating collagen and elastin production and making your face smoother, brighter, and healthier. Our microneedling technology is safer and more effective than traditional microneedling devices, which can be uncomfortable and leave your skin red and irritated. Your skin will look more vibrant and embrace your beauty with a device that removes old scars and brightens your complexion.